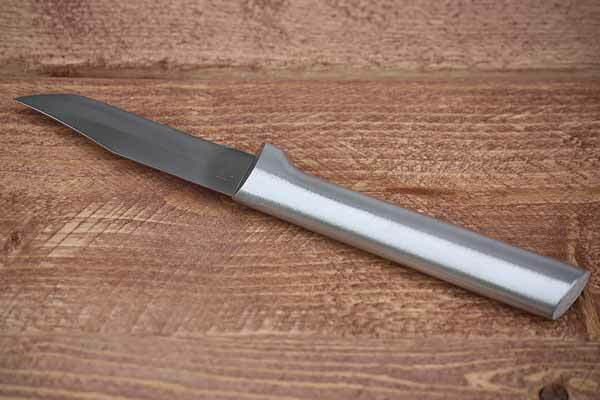 A small and maneuverable paring knife for versatile work. Comfortably fits in the hand for detailed carving/cutting. Stainless steel. Lightweight. Made in the USA.